Multifaceted and Multitalented: Compostable and Biodegradable Products, Childcare, Photography and more! 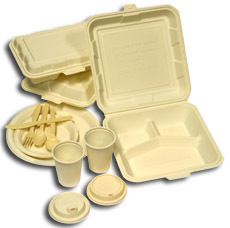 http://www.Taterware.biz – Compostable and Biodegradable Products made from renewable resources. You Have Seen “The Others”… Our TaterWare Products Are THE BEST! NO Leaks, NO Soak Thru! NO Melt! Happy Customers! Superior to current plastic and foam! GMO FREE and Biodegradable! The customizable embossed pattern gives insulation for hot foods. Cutlery – made from GMO free cellulose and limestone. It’s time to make a change that is noticed by your customers!